Straight razors have started to make a comeback for many men. This is partly due to their classic design that is both timeless and effective. They’re also becoming increasingly affordable as they grow in popularity. 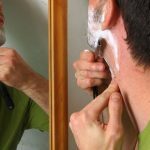 In our article, we’re going to cover five of the biggest benefits of shaving with a straight razor. 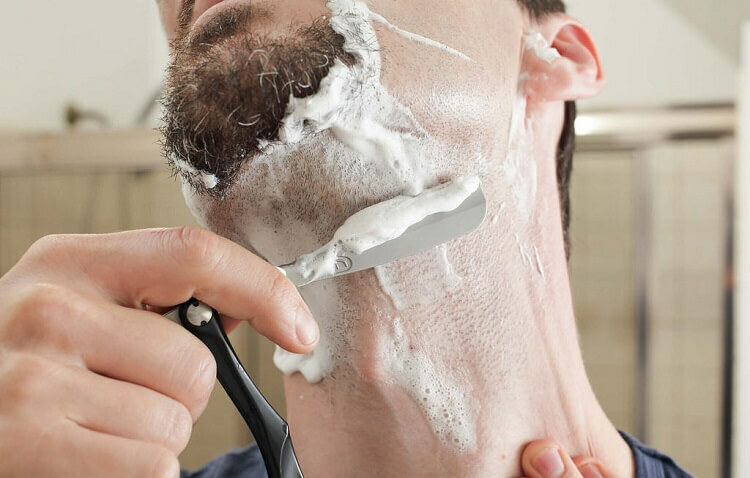 One of the biggest benefits of shaving with a straight razor is that it can give you the closest shave possible. The reason for this is due to the superior sharpness of the straight razor blade and the way that it is used in the shaving process. However, it will take you time to master shaving with a straight razor. Two of the main things that you will have to work on initially is the amount of pressure you use and the angle that you hold the shaver. 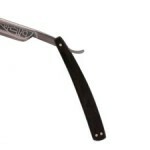 The angle plays the biggest role in determining how effective the straight razor cuts each hair follicle. For best results, try to get in the habit of making strokes using a 30-degree angle. 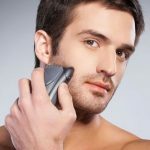 As for pressure, remember to allow the razor to glide over your skin to prevent cuts and scrapes. This is best accomplished by remembering to avoid pressing down on the razor. Once this is accomplished, you will start noticing an irresistibly close shave with each use. Another benefit of shaving with a straight razor is the positive impact it has on shaving irritation. 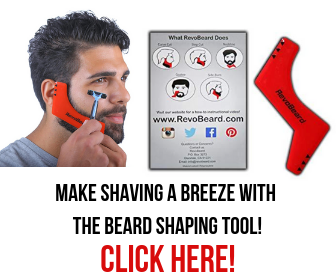 This is directly tied to the blade construction and the fact that this razor utilizes only one blade. One of the main reasons shaving irritation occurs is when multiple blades are being dragged over the same area. For some, the additional blades help lift stubborn hair follicles and make them easier to cut for the additional blades. Unfortunately, this process also can cause the upper skin layer to be rubbed and cut by the additional blades. 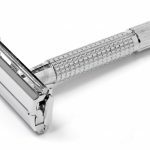 Even if you switch to a single blade safety razor, you are still likely to experience more shaving irritation than with a high-quality straight razor. The reason for this is that these type of razors are not nearly as sharp as straight razors; they do not hold their edge as well. This results in having to pass the blade over the same area multiple times to achieve a close shave. The end result is that you end up with just as much shaving irritation as you get from a multiple blade safety razor. Ultimately, straight razors reduce the number of passes necessary to achieve a close shave. This results in less shaving irritation overall and a more pleasant experience. The fact that straight razors are much more environmentally friendly is another one of the main benefits of shaving with a straight razor. 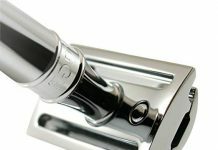 With modern-day safety razors, they are designed to be used for a few shaves. In most cases, higher-quality blades may last one to two weeks max. As a result, you’re perpetually throwing away plastic and metal every week that ends up in your local landfill. With a straight razor, you’re able to drastically reduce the amount of trash that you send to the landfill with shaving each year. The first way is the blade itself. 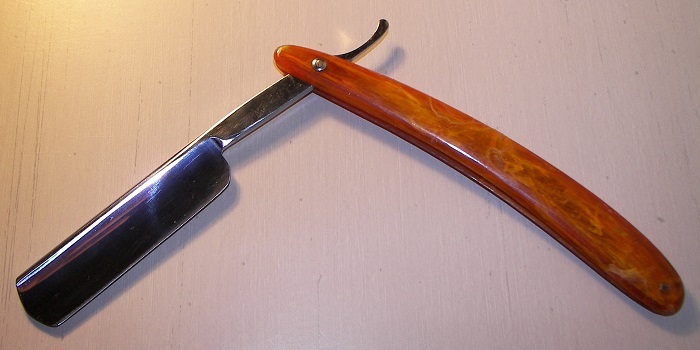 When properly cared for, your straight razor should last you multiple years before needing to be replaced. If you opt for shaving soap instead of shaving cream in a can, you can further decrease your environmental impact. Most shaving soaps currently available come in a recyclable paper or cardboard box. 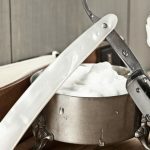 Shaving soaps are also the preferred choice for straight razor users due to the superior lubrication that they provide. One of the lesser known benefits of shaving with a straight razor is the positive impact it can have on your wallet. 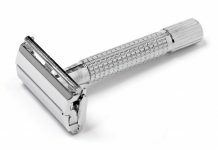 Although high-quality straight razors are typically quite expensive, it’s important to note that they typically last for several years before needing replacement. 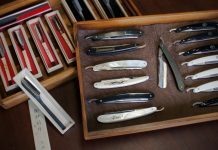 To properly care for your straight razor, you will also have to invest in additional tools like a strop and hone that are used to sharpen the blade periodically. You will also likely need a decent shaving brush for building up a rich lather to shave with as well. While these things further increase the initial cost of shaving with a straight razor, they tend to last for quite some time. 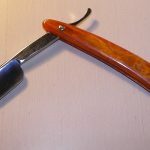 Ultimately, you end up saving money in the long-term after you have made the initial investment required to start shaving with a straight razor. Another one of the best benefits of shaving with a straight razor is their visual impact. Straight razors come in a wide range of style choices that are perfect for both more modern men and those who prefer a more classic approach. 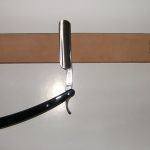 Ultimately, the portion of the straight razor that really pertains to style type is known as the scale. 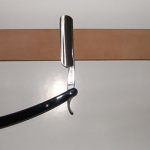 The scale is basically material of the handle area for your straight razor. More modern straight razor designs incorporate a metallic handle design that looks great in most newer bathrooms. To achieve a more classic look, you can easily opt for the broad selection of wood scale designs. With many options like pine, oak, and cedar, you should have no problem finding the perfect straight razor to fit your individual style needs. If you’re looking for an easy way to achieve the most visual impact from your straight razor, consider investing in a complete shaving kit. These types of products typically include everything that you need to get started with your new straight razor. They also typically include a compatible hone and strop as well. In most cases, they even have a storage case for keeping everything secured too. 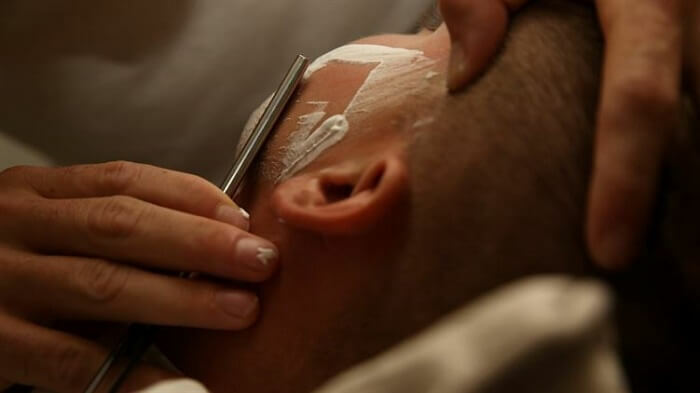 There is a multitude of benefits of shaving with a straight razor to consider. They're available in a wide range of styles - simply pick your favorite! We strongly encourage you to try shaving with a straight razor and see for yourself. If you are an experienced straight razor user, feel free to share any additional benefits that you have discovered.